Motorola Moto Z2: What about it? 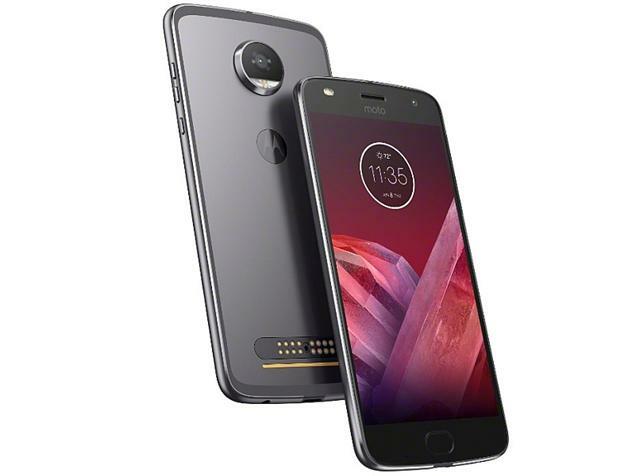 Motorola seems to be launching one phone after another, as can be seen from its Moto Z2 Play, Moto X4, and upcoming Moto Z2. But what is really interesting is that the Moto Z2 may pack some serious hardware, as confirmed by a recent leak at Antutu. Well, the leak at Antutu shows that the Moto Z2 will feature a Snapdragon 835 processor, with a clock speed of 1.90 GHz which will be accompanied by 4 GB RAM and 64 GB internal storage. The phone will also pack a Quad HD (2K) display, which has a resolution of 1440×2560 pixels. The Moto Z2 will have a clean and latest Android interface; Nougat 7.1.1. Though we do not know much about the camera, leaks tell us that the Moto Z2 will have the same camera as the Moto Z2 Play. The leaks just tell us that the Moto Z2 employs a 12 MP rear camera. Now it may or may not be the same as used in the Moto GS5 and Moto Z2 Play; we can't say for sure. The device will employ a 5 MP front camera. However at a time when most devices are moving towards dual cameras at the rear, the Moto Z2 will not have such a setup. While the Moto Z2 is expected to be unveiled on June 27, some other reports suggest that the phone will have IP68 water resistance and USB Type-C port.